Are you experiencing the winter blues? Don’t let the cold month of February get you down this year. Instead, join the fun at the Sandestin Gumbo Festival, one of Florida’s most anticipated food events! Enjoy the gorgeous landscape of the Emerald Coast while tasting some of the best seafood you’ve ever had, all prepared by renowned chefs. Between exciting cook-off contests, family activities, and live music, what else could you wish for? 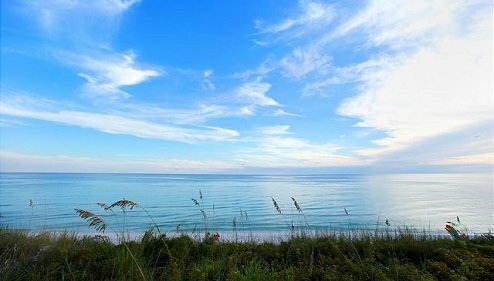 Plan an entire trip around this exciting festival and visit 30A. Become an expert on the local joints when you download our free Vacation Guide! It’s a great planning tool that will save you from browsing endlessly on the internet in search of local restaurants, shops, outdoor adventures, and other events! Attend the Sandestin Gumbo Festival This Year! This year, try experiencing 30A like a local. When you attend this weekend-long festival, you’re partaking in a beloved and anticipated February tradition! For more than three decades, the Sandestin Gumbo Festival has been a favorite Sandestin events. It’s a great way to discover the variety of flavors popular among the Emerald Coast culinary scene while soaking in breathtaking scenery. Sample delicious gumbo prepared by the best chefs from the hottest restaurants in town and vote for your favorite! This fun event also includes live music, family entertainment, and many beverages! Good To Know: Rain or shine, the festival is happening! No matter what the weather is like, you can be sure you’ll have a wonderful weekend. You can’t go to the Sandestin Gumbo Festival and not get inspired to try cooking some of these dishes yourself once you’ve returned home. Whether you’re an experienced cook or a beginner chef, you’ll make your family go wild for your Gumbo with this recipe! Season the chicken with salt and pepper. In the meantime, heat the oil in a heavy bottomed oven over medium heat. Cook the chicken until it’s browned on both sides and sprinkle the flour over the oil. Add two tablespoons of margarine and cook over medium heat, stirring constantly until brown (about 10 minutes). Let the roux cool. Return the oven to low heat and melt the remaining three tablespoons of margarine. Add the onion, garlic, green pepper, and cook for ten minutes. Add Worcestershire sauce, salt, pepper, and ¼ bunch of parsley. Cook and stir for ten minutes. Add four cups of hot water and the bouillon cubes while whisking. Add the chicken and the sausage, and bring to a boil. Reduce the heat and cover to let it simmer for 45 minutes. Add tomatoes and okra. Cover and simmer for one hour. Just before serving, add the green onions, shrimp, and chopped parsley. Courtesy of Paula Deen via foodnetwork.com for the recipe. 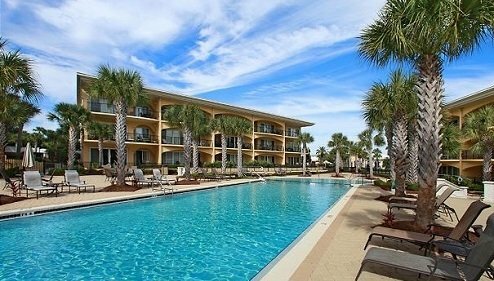 While planning your trip to the Sandestin Gumbo Festival, you’ll want comfortable accommodations near the event. At Adagio, you’re right next door! Taste the best food in the area and come home to your luxurious rental for a good night of sleep and relaxation. 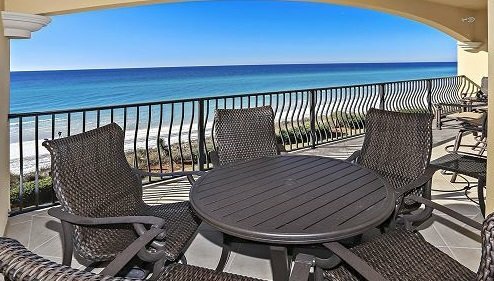 Consider booking a few nights in our tropical Santa Rosa Beach gulf front rental! The Adagio C-302 is ideal for a fun vacation with friends and family. 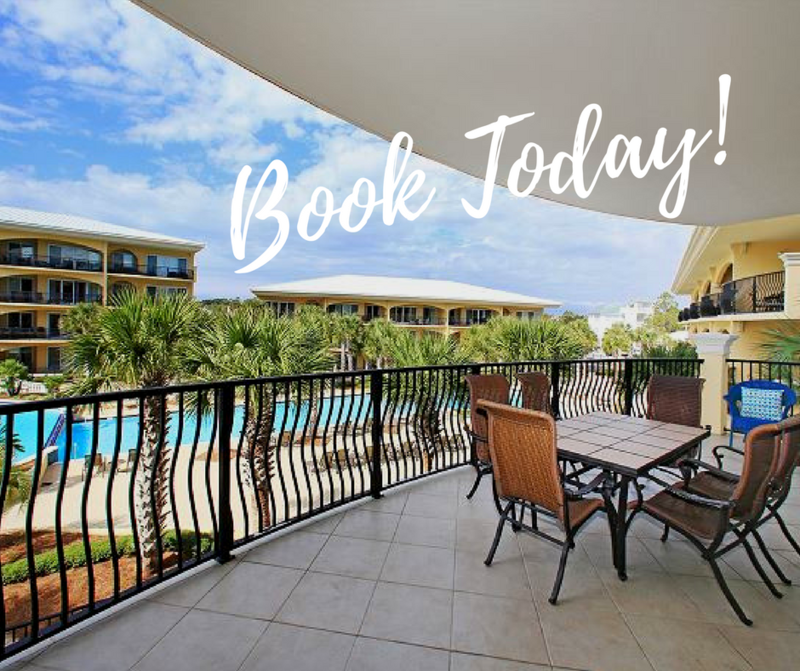 With four bedrooms and three bathrooms, there’s plenty of space for everyone This beautiful unit is adjacent to the beach walkover and the front pool, which offers splendid views. Grab yourself a glass of wine and enjoy a stunning sunset before coming in and snuggling on the couch. This charming unit also includes a modern kitchen with granite countertops, gas stove, and stainless appliances. Cook yourself a delicious breakfast when you wake up in the morning and spend quality time with your loved ones in the dining room or lounge area. Your unit isn’t the only marvelous thing you can find at Adagio, which features two separate pools. Our 1,700 square foot Gulf-side pool is heated and has an infinity edge overlooking the Emerald Coast. The front pool is 8,000 square feet and features three tiers with fountains and waterfalls that your children will love. We also have a fitness center so you don’t miss having to skip your workout!